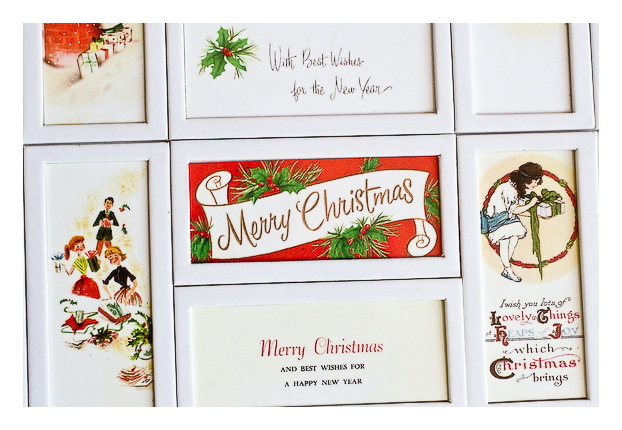 I love vintage greeting cards. Any time I go to an antique store I am always on the hunt for them. Instead of them just sitting in a drawer in my home I want to use them in a way that other people can see them and decorate with them. 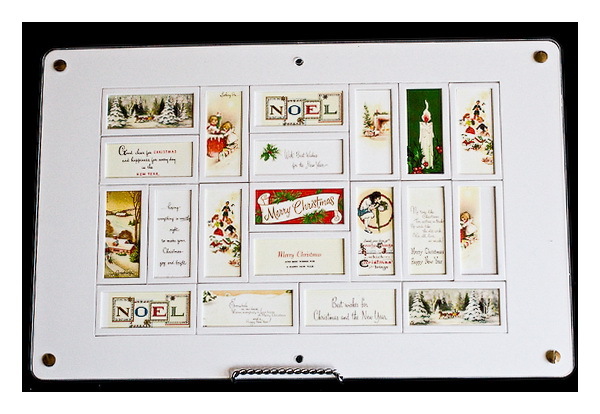 I've created this frame which showcases vintage Christmas cards. It sort of reminds me of an advent calendar (but without the chocolate!). Contact me at april@aprilrocha.com if you are interested in purchasing this item. 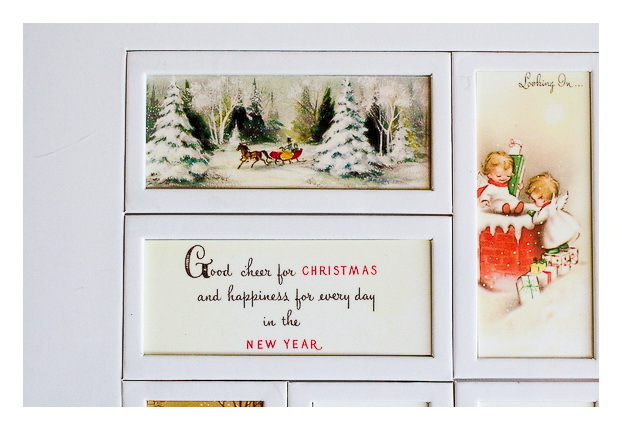 I just LOVE this post card frame!!! Wow! You are so creative!